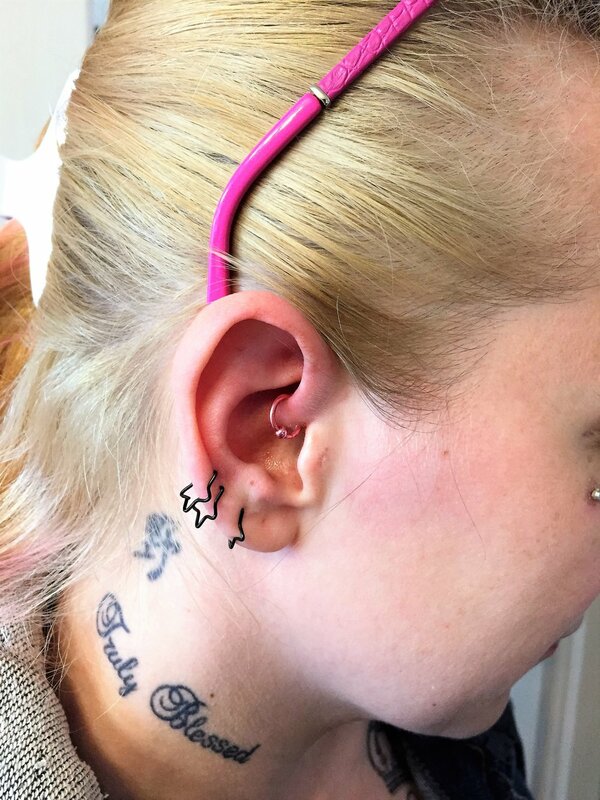 The initial healing time for most piercings is 2-4 months. All piercings need to be cleaned twice daily throughout the entire healing process. Cleaning more often than twice a day can irritate the piercing, and will delay the healing process. You can expect some bleeding, swelling, redness, and general discomfort like mild pain and irritation. Before cleaning, wash your hands thoroughly with liquid anti-bacterial soap and warm water. If you'd like you can also wear disposable gloves. Apply the specialized piercing or saline solution to the area with clean hands using q-tips. Dry the surrounding area with disposable paper products like gauze or tissues. Avoid using towels. If you suspect the piercing may be infected, consult your doctor. Avoid touching the piercing except during cleaning. Do not remove or change jewelry during the healing process. Do not clean more than the recommended twice daily. 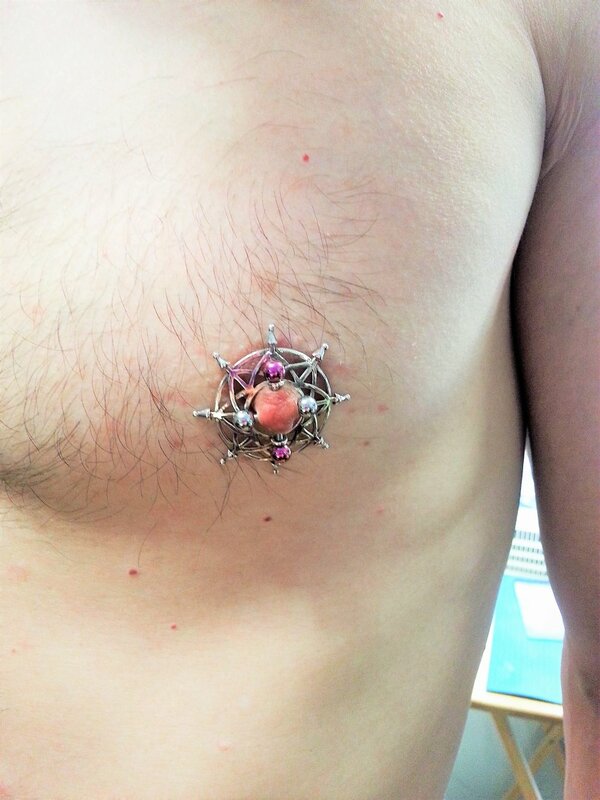 Do not allow anyone else's bodily fluids to come into contact with the pierced area. Avoid scented lotions, perfumes, makeup, hairspray, etc. 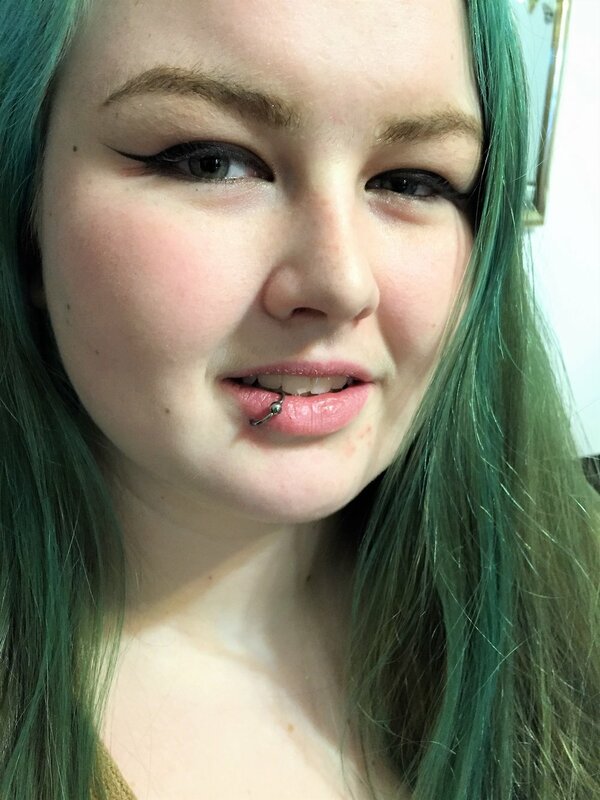 around the pierced area. No swimming during the healing process, and be sure to never submerge the affected area in water (no baths). Do not use rubbing alcohol or hydrogen peroxide. Remember to be patient. Everyone heals differently and process can vary greatly from person to person. If your piercing is still tender, or is secreting liquid, you should continue treatment process, even if it has gone passed the initial 2-4 month window.